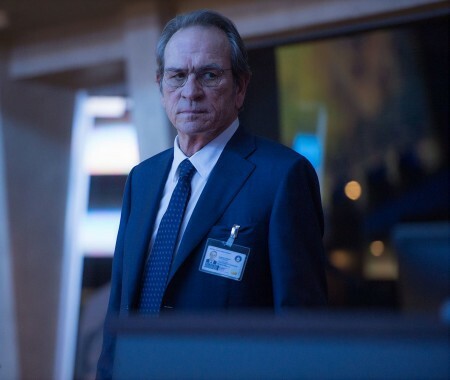 To take down Jason Bourne, you must send your best ‘asset’ in the field. So we activated Nick Clement. His field report is highly classified but I have leaked it here. Nick..go ahead..you have security clearance from Langley. Jason Bourne is a hard-charging action film, and even if it doesn’t have the narrative complexity and overall depth that series architect Tony Gilroy brought to the table, the film operates as a riveting spy actioner with topical overtones, a serious examination of government surveillance crossed with a straight-ahead revenge plot, and features two absolutely outstanding set-pieces that certainly top anything in the real-deal action department that I’ve seen all year. By this point, you’re either on board with this franchise or you’re not; this film won’t win any new fans but those who want to know a bit more about David Webb should be very pleased. What it really does is provide a sense of bridging from one trilogy to the next. 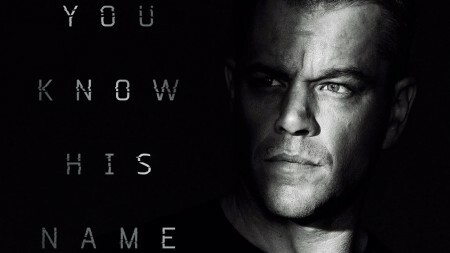 If Identity, Supremacy, and Ultimatum are the spine to the overarching plot, and Legacy served as a daring extension of the universe, the aptly titled Jason Bourne pivots into a new chapter of espionage for one of cinema’s most lethal of characters, taking things in a more stripped-down and personal direction. 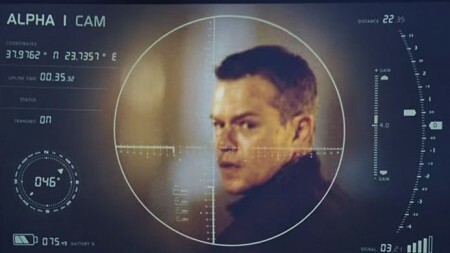 Written this time around by directorial mastermind Paul Greengrass and the brilliant editor Chris Rouse (who won the Oscar for his astonishing work on Ultimatum), the tense plot relies on terse dialogue and lots of visual storytelling, sending Bourne on a rather violent mission of retribution. Alicia Vikander, Vincent Cassel and Tommy Lee Jones are the new and dangerous faces trying to bring Bourne down, and all deliver strong supporting turns, while series regular Julia Stiles returns and features prominently in one of the big action sequences, a motorcycle and auto chase through the crowded, rioting streets of Athens. In this sequence, and the crash ‘em up wowser set along the Vegas strip, Greengrass further demonstrates how he is at the top of the class in terms of action filmmaking, displaying an uncanny sense of verisimilitude that nearly becomes overwhelming. 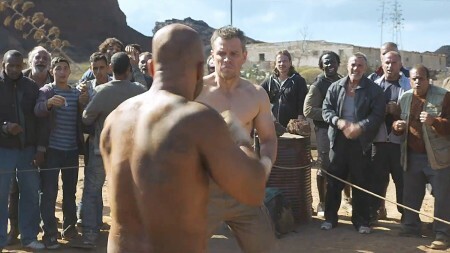 His trademark shaky-cam shooting style, this time orchestrated by genius lenser Barry Ackroyd (United 93, The Hurt Locker, The Wind that Shakes the Barley), is in full-effect all throughout, with the propulsive musical score by John Powell and David Buckley backing up every foot pursuit, computer hack, and fist fight. I’ll always be a fan of Greengrass’ intensely visceral aesthetic, and it was sort of wild to see him get into Michael Bay mode during the finale, as he stages one of the most spectacular crunched-metal/broken-glass displays of vehicular mayhem since Bad Boys II. It’s the most over the top sequence in any of the five films, and yet, it packs a serious punch and still felt totally believable within its own realm. And that’s what I love about these movies. Whatever CGI is used is totally invisible – these are pristine looking works of visual art that border on the level of expressionistic filmic creation with the use of fragmented information. The technology on display is scarily, almost obsessively showcased, and while “it’s just a movie,” I have no doubt that much of what we see in Jason Bourne is based off of current research. Damon totally commands the screen in every outing; this is his signature role and he knows it and as a result feels wholly committed to the character and all of its facets. And it’s clear that his run of movies as the titular hero isn’t going to slowdown anytime soon, as this newest addition grossed a robust $60 million on opening weekend, all but ensuring future installments. And I like where this one leaves off, with the promise of Vikander looking to muck things up for Bourne, and Greengrass getting a chance to inject more real-world vitality into this already pumped-up and thrilling franchise. Jason Bourne may not reinvent the wheel, but it serves as a very skilled piece of craftsmanship and a smart reconfiguration of the key ingredients so that by the end, we’re already asking for more. After spending close to a decade working in Hollywood, Nick Clement has taken his passion for film and transitioned into a blogger and amateur reviewer, tackling old, new, and far flung titles without a care for his cerebral cortex. His latest venture: Podcasting Them Softly, finds him tackling new ground as an entertainment guru, and along with his spirited partner Frank Mengarelli, are attracting some diverse and exciting talent to their site. Some of Nick‘s favorite filmmakers include Michael Mann, Martin Scorsese, Tony Scott, Oliver Stone, David Fincher, Werner Herzog, Terrence Malick, and Billy Wilder, and he’s a huge proponent of the “31 Flavors of Cinema” school of thought. Favorite films include The Tree of Life, Goodfellas, Heat, Back to the Future, Fitzcarraldo, Zoolander, Babe, and Enter the Void.